Britain’s Ben Ainslie, the most successful Olympic sailor in history, has won another prestigious prize to add to a trophy cabinet already groaning with top honours: The Magnus Olsson Award in memory of the much-missed Volvo Ocean Race sailor. Swede ‘Mange’ Olsson was one of the best, most recognisable and popular sailors ever to compete in offshore sailing’s toughest test, taking part in six races. 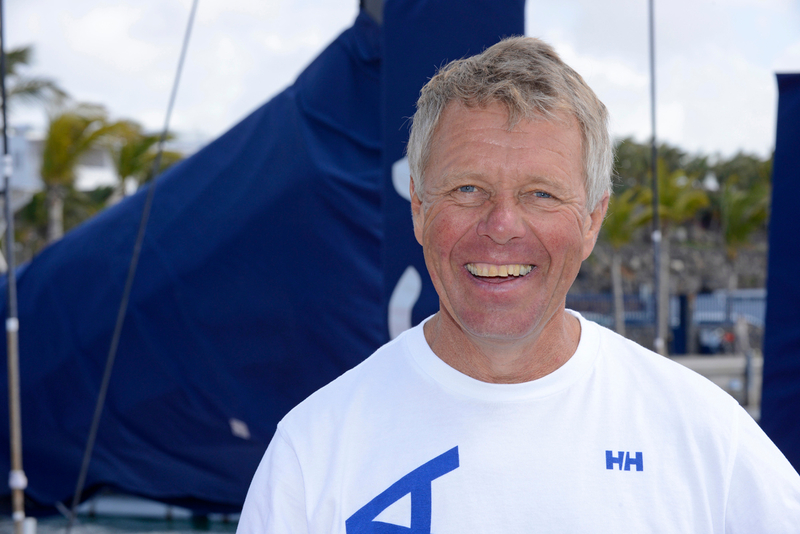 He was helping to prepare the all-female Team SCA (Sam Davies/GBR) for the current 2014-15 12th edition, when he died from a stroke at the age of 64. The day after his protégées won Leg 8 from Lisbon to Lorient, France, following an impeccable performance in testing Atlantic conditions, the honour in his name has been awarded to a sailor whose own career has been littered with awards throughout. Shortly after his death, Olsson’s family and some of his closest friends created a memorial fund in his name. Its aim is to promote Swedish youth sailing and boating activities by awarding grants to individuals or organizations as well as presenting the annual Magnus Olsson Award that honours an individual or organisation – preferably with Olsson’s inimitable spirit and enthusiasm. Winning the prize has delighted Ainslie, who succeeds another multi-Olympic champion and 2008-09 Volvo Ocean Race winner, Torben Grael (BRA), who was awarded the first award last year. “Magnus was a sailor who everyone looked up to and admired. His reputation was as a true great of the sport who embodied an amazing spirit for sailing,” he said. Ainslie, 38, the son of former Whitbread Round the World sailor Roddy, has reached the podium in five consecutive Olympic Games from 1996 to 2012, finishing in the silver medal position in the first of those in Atlanta and winning gold in the next four. 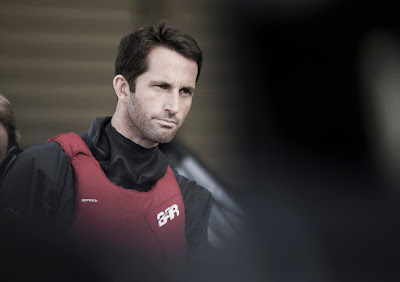 Ainslie is the only person who has been made ISAF World Sailor of the Year four times and in 2010 he finished in first place in the ISAF World Match Racing Championship. In September 2013, he joined as a tactician during an Oracle Team USA practice session and the following day, he replaced John Kostecki going into race six of the 2013 Americas Cup with his team staring defeat in the face. Oracle Team USA went on to defend the America's Cup by a score of 9-8 against Emirates Team New Zealand, coming back from 8-1 down at one stage. 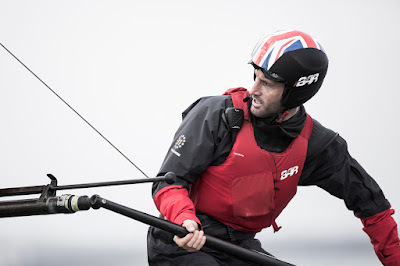 Ainslie was also knighted by his country in 2013 for services to the sport. Now stepping into a new role, as skipper and team principal of Ben Ainslie Racing, Ainslie will develop and lead a British entry into the 35th America’s Cup for 2017, with the aim of bringing the Cup back to his country where it all began in 1851. He will receive the prize at a ceremony in Gothenburg on Friday, June 26 in the Volvo Ocean Race village stopover. At the same ceremony, two scholarships will be awarded to young Swedish sailors. Scholarship recipients will also have the opportunity to receive mentoring support for a year from Ainslie as the winner of the Magnus Olsson Award. The scholarship recipients will also be presented in Gothenburg on June 26. On the same day there will be a ‘Mange Olsson Memorial Foundation Youth Sailors Workshop’ – a workshop for boys and girls who take sailing seriously. As recognition of the strong links between Olsson and the Volvo Ocean Race, a special tribute will also be presented to a crewmember from the Volvo Ocean Race.